Zebra Technologies Corporation (NASDAQ: ZBRA) provides the broadest range of innovative technology solutions to give a “digital voice” to physical assets. Our extensive portfolio includes bar code, receipt, card, kiosk, and RFID printers and supplies, as well as real-time location solutions. Zebra’s enabling technologies extend visibility into company operations for more powerful business intelligence. Today, Zebra’s printers are used across a myriad of industries to do everything from improving patient safety in hospitals with bar coded wristbands and bedside specimen collection; to allowing for mobile printing in field service applications; to creating a better customer service in retail stores with loyalty cards and self-service kiosks; and to track and trace mission-critical resources for the Federal government. Zebra additionally provides a wide range of scalable Real Time Locating Systems (RTLS) technologies that are used to generate accurate, on-demand information about the physical location and status of assets. With this level of visibility into their operations, organizations are able to make smarter decisions regarding their supply chain and manufacturing functions and improve safety and security throughout their logistics operations. Whether deployed for the real time location of assets in a rail yard, or allowing for streamlined workforce and resource costs in manufacturing, or the tracking of thousands of large parts throughout an automotive assembly plant, Zebra’s RTLS technologies enable efficiencies throughout the organization. Zebra Technologies Corporation was incorporated as an Illinois Corporation in 1969. We became a Delaware corporation in 1991 in connection with our initial public offering, which we completed in August 1991. In 1998, Zebra merged with Camarillo, California-based Eltron International, Inc., market-leading manufacturer of desktop bar code printers and plastic card printers. 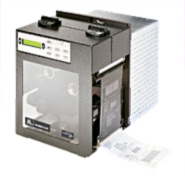 In 2000, Zebra acquired Comtec Information Systems, a leader in innovative mobile printing solutions. In 2007 and 2008, we acquired WhereNet Corp., proveo AG, Navis Holdings, LLC and Multispectral Solutions, Inc. to expand Zebra’s RFID, asset management, and real time location capabilities. Navis Holdings, LLC was divested in February 2011, as was proveo AG in August 2011. We remain organized under the laws of the State of Delaware. Zebra’s international distribution and sales network encompasses more than 100 countries. Zebra Technologies Europe Ltd, headquartered in the United Kingdom, provides product and specialty media sales and support to a wide area of operations, including oversight of the sales and support offices in France, Germany, Italy, Denmark, Sweden, Spain, South Africa, and the United Arab Emirates. Miami, Fla.-based Zebra Technologies Latin America, LLC, serves as the headquarters for the company’s Latin American operations. Additional Zebra sales and support offices are located in Mexico, Brazil and Argentina. Zebra Technologies Asia Pacific, LLC, is based in Singapore and oversees the company’s activities in the region including sales and support offices in China, Japan, South Korea, and Australia.